Every day, the most common question that we answer is about power levels; how much is enough and how much is too much. Every manufacturer has a unique marketing strategy about why they have the right amount of power so this article is an attempt to summarize the entire market and come to some conclusions. In general, the trend is towards more power in cold lasers. One of the complexities of laser therapy is that there are huge variations in the size of the treatment area and the depth of the treatment area. As treatment depth increases, the target energy at the surface must increase because most of the energy is absorbed on the way to the area where it is needed. Larger treatment areas also include the dosage requirement. These factors have a major effect on the total therapy dosage. As the dosage increases, the treatment time increases. If the dosage is less than optimum, the recovery time increases. Really, the biggest concept that is causing poor suboptimal dosages is the effect of depth of the treatment. 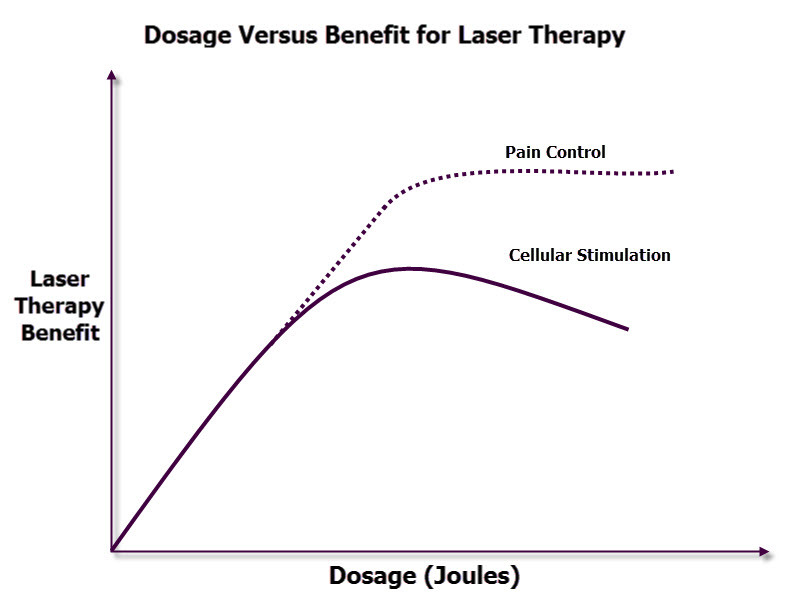 The most universally accepted standards for dosage were developed by the World Organization of Laser Therapy (WALT). Their recommendations are 4-12j/cm2 for the target tissue. This is NOT 4-12j/cm2 at the surface. Experience shows that to get this level of photon density at the target depth, the laser has to put 5 to 10 times that density at the surface to get the recommended dosage at a depth of 2 inches. Larger patients can require much more. Smaller patients will require less. That is because 70 to 90% of the energy is absorbed on the way down to the target area. This means that the surface energy should be in the range of 24 to 100 j/cm2 based on the WALT standards for optimal results. The following table illustrates the difference between 2 conditions typically treated with a laser. The first condition is arthritis in one finger. This is a shallow, small treatment area. The second condition is Neuropathy based on a pinched nerve in the lower back OR hips. This is a deep therapy that requires treating a larger area to make sure that the damaged area gets the desired energy density. We will then calculate the treatment times for 3 different target energy densities for 3 different power level lasers. The target energies listed are at the surface so the density at the desired depth could be up to 90% less. This analysis is based on simple energy dosage calculations. The general consensus is that pulsing a laser provides an additional benefit beyond the total dosage of energy. Many people get great results with a lower power pulsing system but, at this point, we cannot quantify (put it into numbers) the benefits of pulsing so it is left out of this analysis. 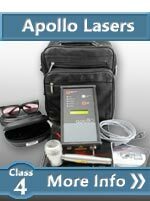 Pulsing the laser also helps keep the laser cooler which reduces the cost of the system so lower power pulsing and super-pulsing lasers are still a great option even if they must target lower treatment dosages. * This protocol is treating approximately 1 square inch but we are using it as an illustration of the minimum energy requirements. From this chart we can see than any laser will treat this condition. We also see that a class 4 laser is overkill. A 100mW laser is the lowest cost option and it will works fine for this condition but treatment time will probably be more than 10 minutes. From this chart we can see that even the class 4 laser would have long treatment times if go for a higher dosage. We can also see that very lower power lasers, which worked perfectly for arthritis, will never get anywhere near the desired energy density at depth in a reasonable amount of time. At ColdLasers.Org, we also understand that lasers are very expensive so no one wants to buy more laser than they really need. That is why we work with our customers to match each laser to each buyer?s specific needs. 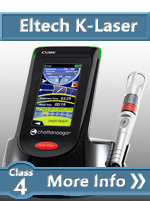 Our business is based on satisfied customers so our goal is to find each buyer the best laser for their needs. Good protocols will target an energy density over the damaged area and this will equate to a total light energy dosage for the entire area measured in Joules. Since we know that 1 Joule = 1 watt per second, we can easily calculate treatment times and compare systems. Using an average class 3b dosage of 500 joules, we can calculate that a 900mW (.9w) laser in continuous mode will delivery that dosage in about 9 minute. If we pulse the laser with a 70% duty cycle, the time will be about 12 minutes. If the laser has a 100mW (.1w) max continuous output, the treatment time should be 83 minutes. If the laser is pulsing at 70%, the time will be about 2 hours. As a professional practitioner, treatment times can play a huge role in your target dosage. Therefore you must target dosages in the 40 to 100 joules if you are using a 100mW system in order to get a reasonable treatment time. These energy levels are the output from the laser, not the delivered energy to the damaged tissue. If you divide the laser output energy level by the area, you get the energy density at the surface. In most cases, user are trying to get energy down deep into the damaged tissue. 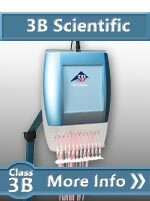 In the cases above with a total output of 500 joules over the entire treatment area, this protocol might only produce about 4 to 8 joules/cm3 deep in the tissue. To begin our discussion of power, we must first review the 2 basic types of cold laser therapy, pinpoint and broad coverage. In pinpoint therapy, a practitioner will use a narrowly focused beam to treat trigger point or acupoint to correct problems in the body. Because the treatment area is extremely small, the power levels can be very small too. If you will want to do trigger point or acupoint therapy, read this. The second type of therapy, broad coverage, includes large areas of damaged tissue like knees, hips and spines. Treating a large-scale leg injury using a single focused beam would be like trying to color a piece of notebook paper with a ball point pen. It could take all day and the results would not be that good. For this reason many manufacturers gang together multiple laser beams or diverge the beam so that a larger treatment area is evenly covered . This partially explains why power levels in the industry keep going up. 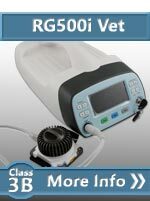 For general tissue therapy, emitter outputs go up to 50,000mW (50W). Another reason why power levels are rapidly growing in new products is the quality of laser diode has improved significantly. 20 years ago, the life of 50mw laser diode was relatively short. Now, it is common place to have a 500mW or even 50,000mW laser modules that lasts for 10 years or more. 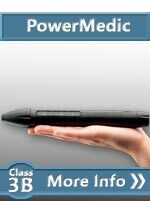 Since the power level is a controlled variable in the FDA clearance, it can be expensive to update older products to the new technology so we still see some super low power devices on the market. Also, there can be a big difference in cost between low and high power lasers (and LEDs). In order to keep the price down, some manufacturers are still using very low power diodes. 600nm to 660nm - The 600 nm group says that you don't need deep penetration to fix the root cause of the problem and you don't need huge power requirement since most of the energy is being absorbed near the surface. 800nm to 980nm - This group says that the upper wavelength has much deeper penetration and then they disagree on how much power you really need. Both groups consistently get good results. We typically advise people to get a device with both ranges if they can afford it. Companies like Erchonia™ have been getting good results with at little as 20mW in the 600nm to 660nm range for many years. They do put the emphasis on the pulsing frequency and not the power. The real controversy is in the higher wavelength (800nm to 980nm) range in treating large area problems. In this wavelength range, we are targeting deep tissue, ligaments and bone damage like in knee injuries. Products for this application range from 40mW to 50,000mW. To best illustrate the complexity of this set of treatments, let's look at a specific comparison. From the previous analysis, we can see higher power devices shorten treatment times and give practitioners more flexibility to get more energy deeper in the tissue. When comparing lasers, this issue is complicated by the fact that different manufacturer have different specifications of the optimum power density. Since treatment times are also a big selling point, manufacturers of lower power devices may target a much lower power density than industry standards because no one will buy their product if they really had to leave the laser on one spot for 40 minutes. Products that never achieve the optimum power level can still help patients with small issues but they might not help with larger problems. The following table shows treatment times based on laser power output. Pink is unreasonable long, Blue is unreasonably short. As you can see, some lasers are over-powered for some applications and some are under-powered. Most higher power systems can be turned down. We already know all the major brands produce a benefit in cellular stimulationbut the blurry issue is why and what dosage provides the best healing. Below is a graphic that shows our concept of what is happening with different products and applications. This is really based on the published works ofWorld Association for Laser Therapy (WALT). Starting from left to right, less power to more power, we can make the following assumptions. Higher dosages provide increasingly better pain relief but there must a maximum level where adding more energy is just a waste of time. We do not know where this point is and dosages vary widely from manufacturer to manufacturer. At first, you get more and more cellular stimulation. Then there is an inflection point and adding more energy reduces the stimulatory effect it starts inhibiting the cellular activity. Many smaller doses are probably the best for long term cellular regeneration but most patients will not stick with a therapy that is not producing noticable results. This is why most practioners would prefer to deliver a higher dosage than the WALT typically recommends. So there is not one right answer. This is why people get great results with a class 1 as well as a class 4 laser. 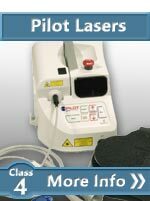 The laser operator must evaluate every patient and decide how fast they want to complete the therapy. 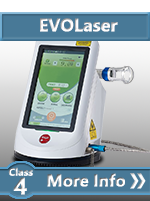 Most of the best lasers offer both Continuous Wave (CW) and Pulsed Wave (PW). In continuous wave, the laser beam is on 100% of the time. In pulsed and super-pulsed lasers, the beam is turned on and off at a fixed rate (typically around 1000 to 5000 times per second). 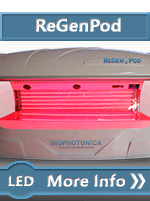 In sweeping mode the frequency of the pulsing is changed over the period of the treatment. If you do not know exactly what is the best pulsing frequency, sweeping will at least hit the optimum pulsing frequency some of the time. Based on my experience, pulsing the laser offers an addition benefit in stimulating the body and this benefits more than offsets the the reduction the speed of delivering the photons. For higher power systems, pulsing also has the benefit of allowing higher power levels without the risk of burning. Both the laser emitter and the tissue can cool down during the short periods that the laser is off. One application where I typically recommend using continuous wave is for someone who needs maximum pain relief. This allows the practitioner to reach the plateau faster and saturate the area to inhibit pain. In general, it seems like both CW and PW have advantages and it is best to have both if you can afford it. Up to this point, it seems like more power is better because it can reduce treatment times and in some cases, it is required to get optimum dosage in a reasonable amount of time. 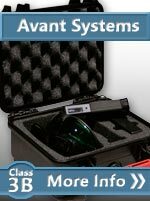 So why doesn't everyone buy class 4 lasers? The answer is cost and fear. The price of the cold laser is a limiting factor for many and safety for others. Unfortunately, "with great power comes great responsibility". Class 4 products by definition are the most dangerous products on the market. If used improperly, they can cause permanent damage to the eye and, in some cases, cause minor burns. If the individual using the product is properly trained and disciplined, there products are totally safe and can be a great revenue generator. It should also provide the most consistent results to the widest range of applications. 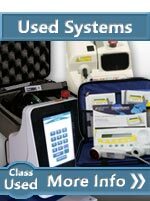 If the class 4 lasers are misused, they can be a great revenue generator for the lawyers. I hope this article helped shed some light on the conflicting theories about power requirements for cold laser therapy. In general, all the major products on the market have a beneficial effect, however higher end lasers have more flexibility, allow for higher dosages and are faster. Shallow areas can easily be treated with lower wavelengths and lower power lasers. Large damaged areas are best treated with higher power laser in the IR range. Deeper injuries require more power to achieve optimum photon density in a reasonable amount of time. Laser technology is evolving so it is now possible to have affordable reliable high-power lasers that were not possible before now. In many cases, power level is mainly used to shorten treatment times. In some case, low power lasers will never achieve the optimum level of energy in a reasonable amount of time. Lower power level manufacturers adjust for this by targeting less than optimum power densities. 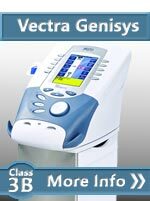 You get what you pay for; more expensive machines offer more flexibility which can help practitioners get more consistent results. 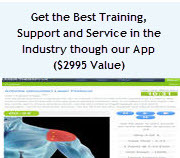 Buy the best that you can afford and you will be able to help a widest range of patients. 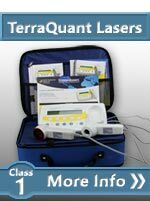 Some class 4 lasers can be dangerous if used improperly but these machines allow for treatment of larger and deeper areas in a reasonable amount of time.